1 December 2016 — ASUS today announced that during the first half of 2016, its ASUS AiProtection network security software — an integral feature of selected ASUS routers — neutralized almost five million internet-based threats and nearly 150 million blocked attempts to visit websites with hidden security threats. This represents a daily average of approximately 1.5 attacks and risks neutralized on each AiProtection-enabled router. 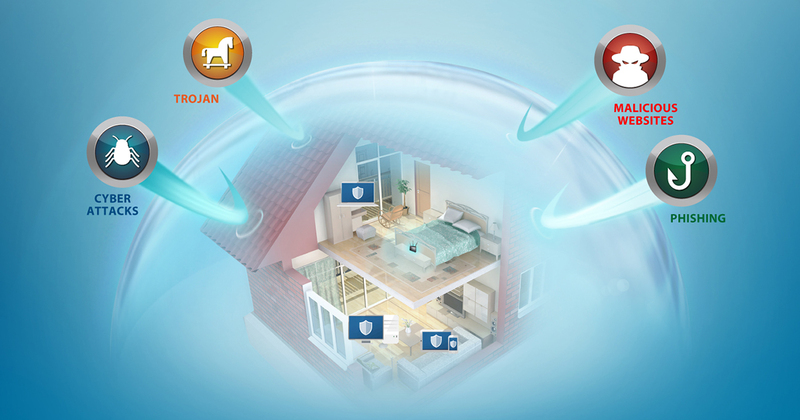 AiProtection is a router-based security software developed in response to the security needs of modern home networks. It incorporates advanced technology from Trend Micro — including the first consumer implementation of commercial-grade intrusion prevention technology — to detect, block and neutralize security threats on home networks. AiProtection can prevent infected devices — even those without anti-virus capabilities, such as Internet of Things (IoT) devices — from sending personal information to malicious web servers. The proactive protection given by AiProtection is also a key feature that helps defend the network from devices with missing or out-of-date security protection. With the recent evolving types of threats associated with ‘smart’ IoT devices, home routers are increasingly the focal point of network security. Traditional infection vectors such as viruses and malware are now augmented by more insidious cyber-threats, including ransomware, phishing and other social engineering attacks, which are aimed at stealing or extorting money or compromising users’ personal data. AiProtection actively provides secured home network through commercial-grade technology, actively blocking malicious websites, connections between infected devices and malicious servers, and providing home network security auditing.